Without T-cells, the cells responsible for fighting off foreign cells, we humans are pretty vulnerable to disease. The T-cells themselves however rely on immune system sentinels, dendritic cells, to seek out and flag anything suspicious. In cancer treatments like immunotherapy, this process is manipulated to get our own bodies to attack cancerous cells. Now, for the first time, a research team from Lund University in Sweden has developed a process for converting human skin cells into these immune system sentinels, which could lead to safer immunotherapy treatment options. Fighting cancer with the body’s own immune system is no easy task. Sometimes cancer may cause the dendritic cells to behave in unusual ways and not function properly. There’s also the chance your body might reject the treatment all together. By creating immune cells from a patient’s own body the chance of rejection is drastically reduced. This process, called direct reprogramming, was recently published in the journal Science Immunology and is not only effective, but fast as well. “From a tissue section taken from the skin, we can cultivate millions of cells and reprogram them to dendritic cells in a process that takes only nine days”, said Filipe Pereira, the leader of the research team that conducted the study. 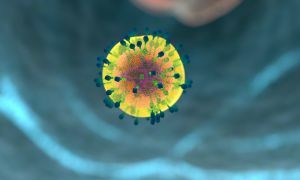 Not only are the reprogrammed cells able to alert the body’s immune system to cancerous cells, they can also be guided by researchers to seek out specific targets before they are introduced into the body. Cellular immunotherapy is a relatively new treatment option for fighting cancer. Better understanding the intricacies of how our immune systems function can help us to keep healthy longer. The research conducted by Pereira and team will help to improve treatment options and open new avenues of immunotherapy research.